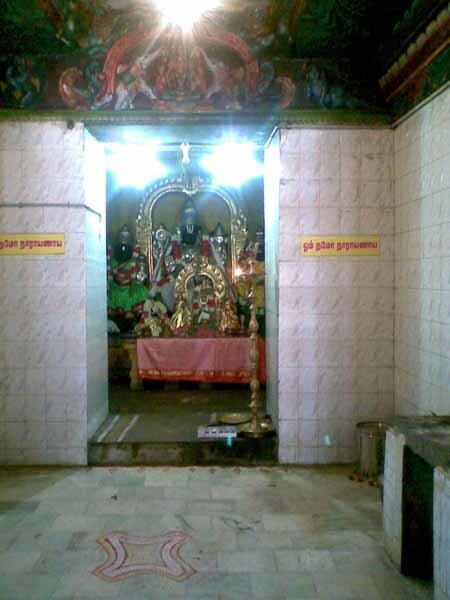 Sri Neelamega Perumal Temple, Sri Veera Narasimha Perumal temple and Manikundra Perumal temple-all located near each other on Vennar banks, the temple is one of the 108 divya desams of Vaishnavites. All the three temples have been clustered into one and called one of the 108 divya desams. 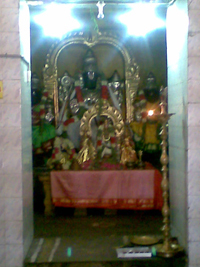 The temple is also called as Parasara Kshethiram as the Lord gave darshan to Parasara Muni and Markandeya. That was the time when three asuras Thanjagan, Thandagan and Tharagan were committing atrocities. 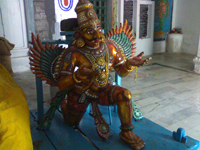 On request from Parasara Muni, Neelamega Perumal took avatar and killed Thanjagan. As Thanjagan took the form of an elephant, Neelamega Perumal took the form of Narasimham and killed him. After the death of Thanjagan, Thandagan enteredthe earth by splitting it. The Lord took Varaha avatar and killed Thandagan also by ploughing through the earth. Tharagan was slain by Kalikadevi. He wanted to take some rest and he sat as Manukundra Perumal which is the other temple near Veera Narasimha Perumal temple. 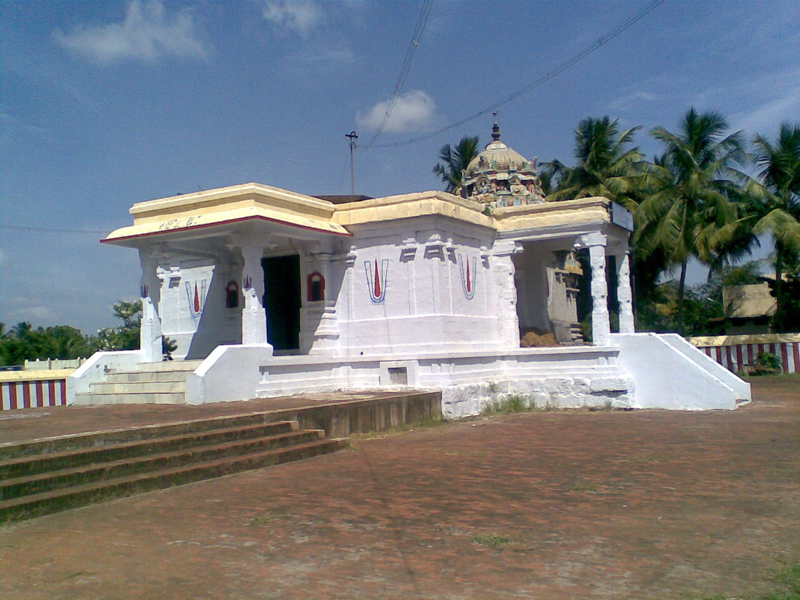 The place where the Lord took the form of Varaha and killed Thandagan is the Neelamega Perumal temple. 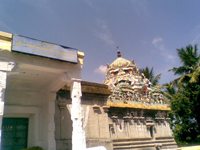 The place where Perumal incarnated as Narasimham is the Veera Narasimha Perumal temple. 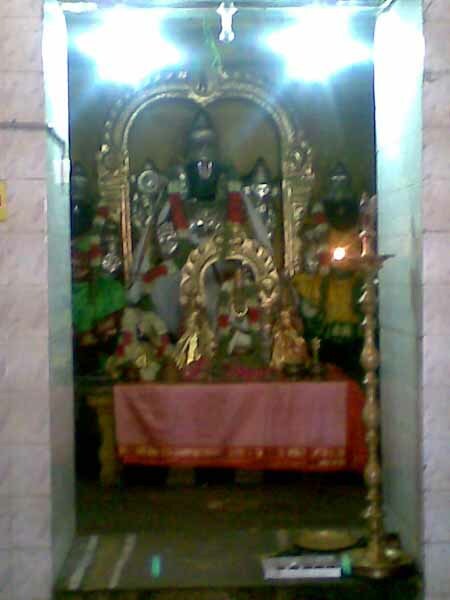 The name Thanjavur came because of the slaying of Thanjagan. Thanjavur is also called Varaha Kshetram as Perumal took the form of Varaham and killed Thandagan. It is interesting to note that the place had been named as Thanjavur by Shri Neelamega Perumal as a grant of a last wish of his devotee turned demon due to a curse. 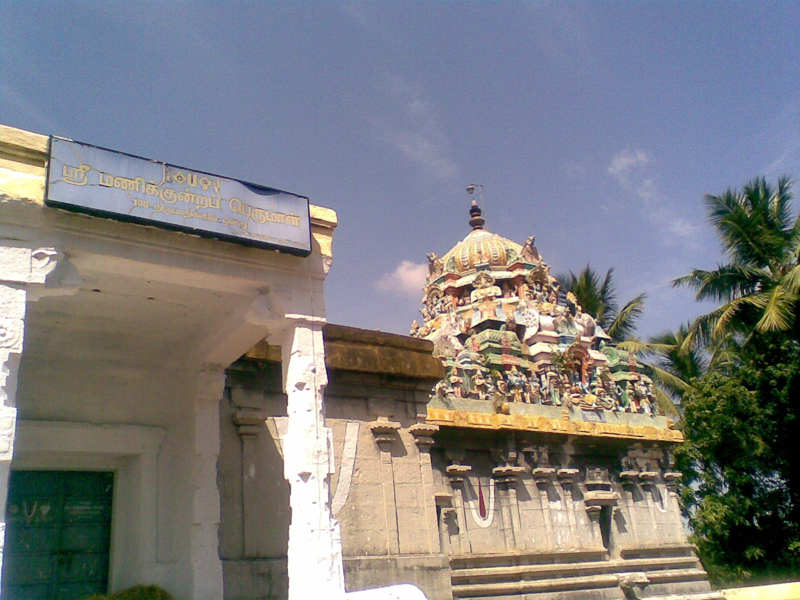 Tanjan got boons from Lord Siva and became arrogant and started devastating the neighborhood. 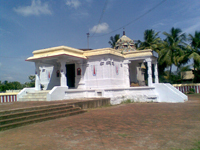 It is said that Sri Anaandavalli Thayar (Lakshmi) and Sri Neelamega Perumal (Vishnu) killed the demon Tanjan, as wished by Lord Siva ( Lord Tanjapuriswarar). As requested by the demon this place had been named after him as Thanjavur.